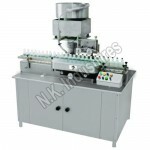 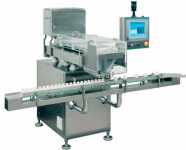 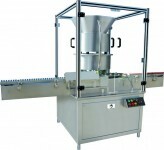 The Automatic Single Head ROPP Capping machine Model NKCS-60R is exclusively designed by N.K Industries adopts single motor which is concise & synchronizes conveyor, star wheels, platform turret. 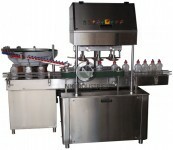 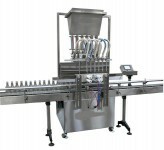 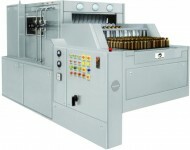 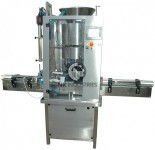 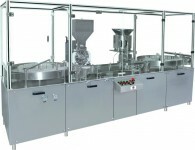 Automatic Single Head ROPP Capping machine Model NKCS- 60R can deliver 50 Bottle per minute output depending upon container Diameter. 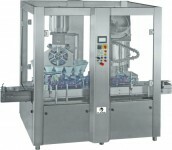 Automatic Single Head ROPP Capping machine can work with wide shaped of container like Round, Square with minimum change part. 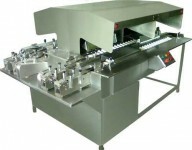 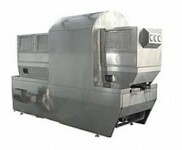 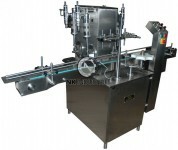 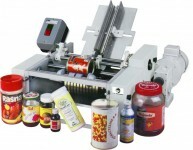 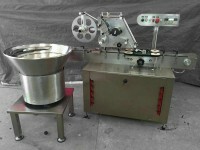 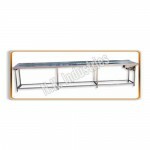 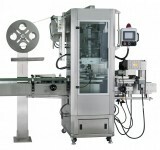 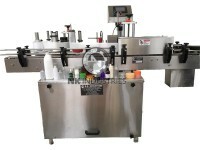 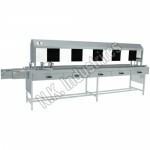 Machine is being made using AISI 304 and aluminum alloy for easy maintenance and longevity. 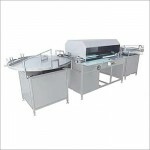 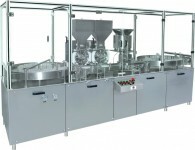 From Safety point of view, machine is equipped with Safety Clutch, No bottle – No cap system and additionally machine can be made available with Acrylic safety cabinet / Toughened glass safety cabinet. 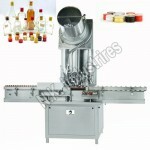 Parts Coming In Contact With Bottle / ROPP Cap Are Made Out Of AISI 304. 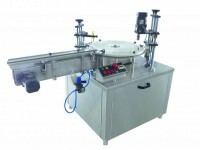 A Special Safety Clutch Device Is Being Integrated On Star Wheel System For Stoppage Of Machine In The Event, Vial Is Over Turned. 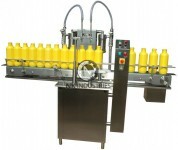 A Special Background Suppression Sensor Stops Machine Automatically In The Event, There Is No Aluminum Cap In Delivery Chute. 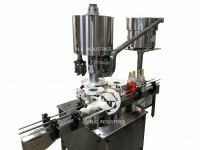 Sealing Pressure Can Be Control / Changed To Suit Diverse Sizes Of ROPP Caps.